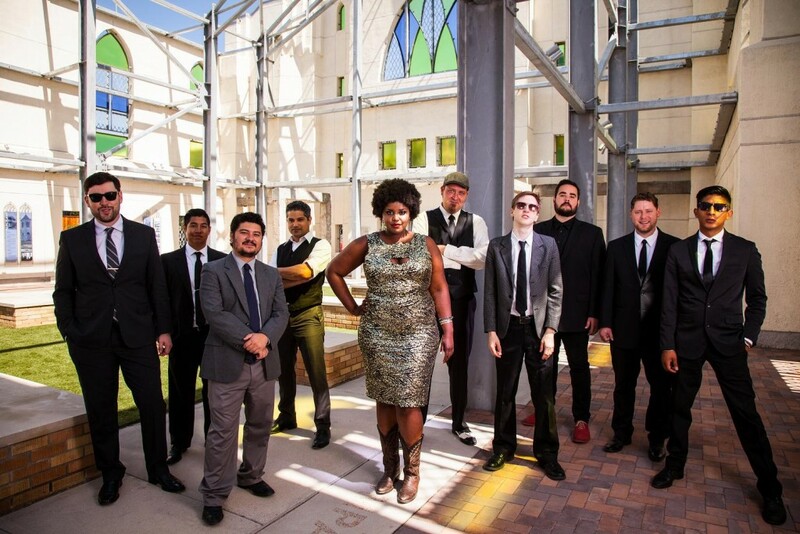 The Suffers are a ten-piece band from Houston, TX who are redefining the sound of Gulf Coast Soul, intertwining elements of Classic American Soul with Rock & Roll. Both sonically and visually arresting, the large ensemble packs each position of the rhythm section and horn section with a level of talent and taste that provides the perfect foundation for singer Kam Franklin’s massive voice. The band’s sincerity and emotion are laid bare in their music, which has garnered an audience so broad and varied that they may prove to be the panacea for a jaded and stratified live music scene. The Suffers’ ten-piece line up was curated by bassist Adam Castaneda and keyboardist/songwriter/vocalist Pat Kelly in 2011. The pair brought on trumpet player Jon Durbin, trombonist Michael Razo, guitarist Kevin Bernier, and percussionist Jose “Chapy” Luna, all band mates from earlier projects. Filling out the rhythm section are accomplished jazz saxophonist Cory Wilson and songwriting/producing duo Alex Zamora on guitar/vocals and Nick Zamora on drums/vocals. Vocalist/songwriter Kam Franklin, having recently completed a tour with London-based group The Very Best, was recruited to front the band. In a short time, the band has progressed from packing local Houston venues to accepting invitations for main stage performances at the 20th annual Austin Reggae Festival, Houston’s Free Press Summer Festival, and Paste Magazine’s Untapped Festival where they’ve shared the stage with the likes of The Wailers, Mavis Staples, Alabama Shakes, The Walkmen, and Cat Power. 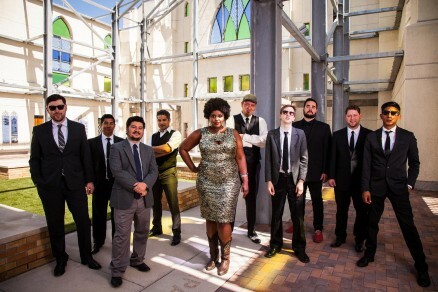 The Suffers have accepted four Houston Press Music Awards in two years and have been listed among the top musical acts to watch in 2014 by the Houston Press and Houston Chronicle. The band’s debut video, a live performance of “Giver,” was recently premiered by Side One Track One following a hugely successful performance during Austin’s Free Week. Work has already begun on a follow-up to their debut 45, which will be a full-length album planned for release in 2015.